Review Summary: Expectations well met. Can Bardd’s debut honestly feels like yesterday. There’s a freshness that comes to listening to this one man act, presenting a whimsical feeling of rushed music and outweighed talent. Nature Stays Silent did indeed give birth to greatness only to be shadowed by an imperfect display of production that in normal circumstances, would have taken years to rework. Thankfully, the sophomore (a year later) works in quick labour starting its listener up the alps again bolstered by a well-rounded atmosphere and a production to match. 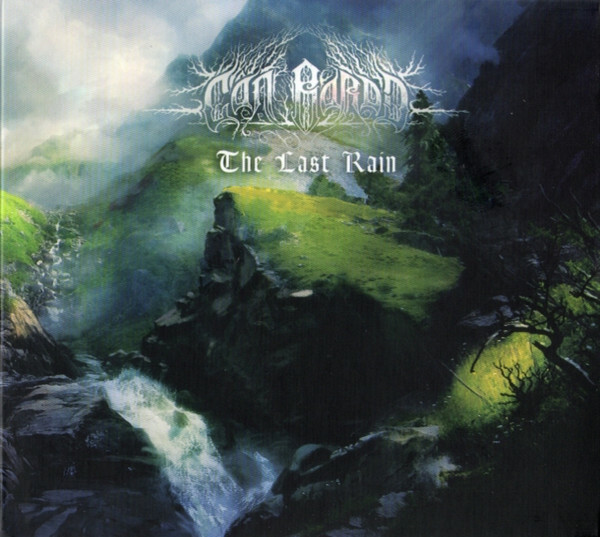 The Last Rain is also a more concise listen, limiting its landscape of sounds to five tracks that fall short of an hour long affair but remains multidimensional in creation. Ethereal cleans bleed into harsh black metal rasps and incinerating furor. For a single manned enterprise, Can Bardd makes the most of its layering before wrapping each element in both minimalist and lush synth works. Everything returns to Malo’s grasp on atmospheric nuance. The Last Rain is as much glacial ice as it is dense forestry and glowing ember. The typical stereotype that derives itself from this style of metal loses some of its trance as the opening notes of “Between Hope and Reality” ascend into clean harmony and when Malo takes breathe, we carry that anticipation into the rest of the record, giving deathly weight to the furor behind his black metal explosion. It’s at the closing moments of the album’s opening track that listeners will realise they are being gently immersed into this vast landscape of pragmatic poise. The climes that dance through “Celestial Horizon” completes the process, enveloping the listener completely. It’s Can Bardd’s overwhelming sense of musical awareness that pushes “Celestial Horizon” to the utmost limits of the genre. Full folk compositions meet the purist of black metal stereotypes, hinting at progressive doom and ritualistic nuance. The track itself reinforces the continuity and central themes that Can Bardd uses at its core and lifts the music to the lofty realms of its forebears. An understatement of sorts when we consider this is but a sophomore effort. At times, The Last Rain makes headway in the same areas that acts like Saor, Caladan Brood, Summoning and Panopticon; trailing along the well worn footpaths of experience, occasionally steering themselves off the beaten path and into the brisk unknowns of atmospheric black metal. The ample tinkering found throughout the completely ambient “Fog Of War” gives shelter to those overwhelmed by the intricacies that come before and after. It makes for interesting listening, like a musical journey not unsimilar to the whispers that creep around a shadowy bend inviting you past the peril of a cliff face only to be met with good company and potent mead that in turn prevents any introspective plagiarism of similar acts but gives voice fully to Malo Civelli’s aura of sonic majesty. The Last Rain is nothing short of an ambitious listen, taking every listenable feature of a folk-laced, atmospheric black metal band and transcending what one man should be capable of while fixing the mixing and production values that hobbled the debut only helped set the bar in a loftier position where it seems the likes of only Andy Marshall and now Malo Civelli can reach. The rains are falling, to the benefit of music fans everywhere. This honestly almost bumped into 4.5/5 territory. And yes this is Forgotten Paths tier. Yes! Loved that record! Great review too! This definitely needs moar rates. It’s probably going to be ranked either side of Saor. Aaaaah been meaning to check this but I always forget. Great read Noct. A question though, how similar is this to Summoning? how similar is this to Summoning? In a sort of undeniable essence, more catered to the complete “epicness” Of tracks and the flamboyant compositions that accompany them. Other people may find a different resemblance but that’s the strongest/easiest way to get the point across. Edit: it’s nice seeing that contrib title under your name. Sounds like a good time, thanks man, will give it a go. You better, or I will completely plague your existence. Nice as per usual my man. "preventing a whimsical feeling" - is that meant to be presenting? Great read as always, man. Remember checking Can Bardd's debut but wasn't a big fan. Might give this one a go though. Great cover art too. Yep, good point on the production issues. And yes this is Forgotten Paths tier.